Giclee, meaning sprayed or squirted, is a term generally used for either fine art original prints or a reproduction print of an original piece of artwork. An inkjet digital printing process is used to produce these one of a kind prints. Combining pigment-based inks and quality archival paper, this method achieves an inkjet print of excellent and unique quality. In short, you can not only expect a print at a much higher quality, but one that delivers longevity over standard inkjet prints. 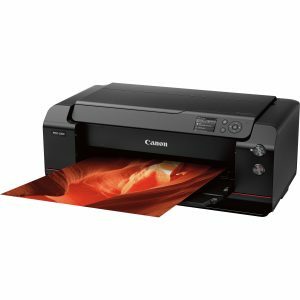 How Does Giclee Printing Work? The method itself largely only works on large format machines and by spraying the tiny particles of pigment-based ink onto a high-quality media application, such as art or archival paper. The print can also be adjusted and corrected to finely meet the original work and continues to be fine-tuned on the paper ensuring an almost identical match, if required. Whilst the large format inkjet printers will be how you produce these prints, you want to make sure you’re perfecting the key ingredients, which includes the resolution you print at, the paper you use and the type of printer. 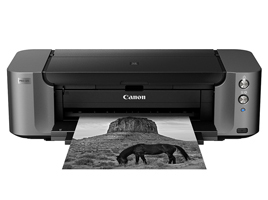 The Canon PROGRAF 12 colour machine and an archival paper will be one excellent combination. Giclee wasn’t always used as a term purely for the prints nurtured through a digital printing process, but rather a term used to describe original and conventional works of art such as hand drawings, paintings or photographs. 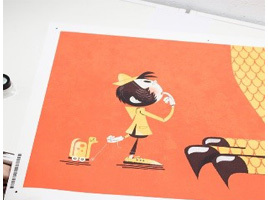 It has since evolved to a broader use and is generally accepted that Giclee printing could in fact be created wholly in a digital process, whether that be through photoshop, Illustrator or something else altogether. You’ll also find that originals are usually scanned at a high quality or in a lot of cases, photographed at high resolution with a lighting rig. Celebrating 15 Years of Printerbase!